Jim Richards was the director of a number of commercials I wrote. He had an extraordinary life. A talented author and artist. Later, a director for LucasFilm, a renowned model railway builder... he did it all. 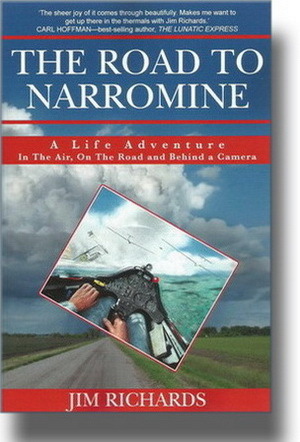 He learned to fly sailplanes (gliders) in Australia at age 39. It was first a challenge for him, then an exultation. With a cameraman's eye for detail, he takes you into the cockpit. You're there at the controls, rising like a bird, flying long distances powered only by the sun. 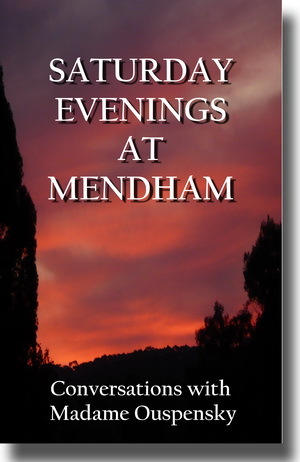 Here, published for the first time, are Madame Ouspensky's talks given to her pupils at Mendham - 1945 to 1947. This is an authentic transcription of talks given by Madame Ouspensky to her group at Mendham, distilled from notes taken by her pupils at the time. Here's one for the most serious and sincere seekers after truth. If you're not fully committed, you'll either find it too demanding or completely incomprehensible. 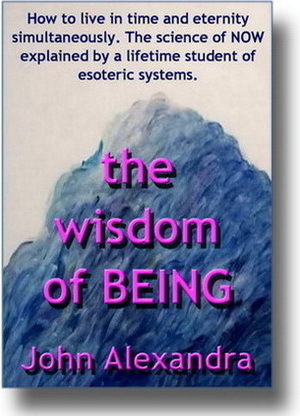 John Alexandra uses two esoteric systems - the Gurdjieff Work and Zen - to to open the frontiers to inner knowledge. Most religions tell you what to do but not how. Alexandra tells you how.